First and only one I've seen. On vegetation in a clearling beside a mixed deciduous/white pine bush. Thanks... that does look right. 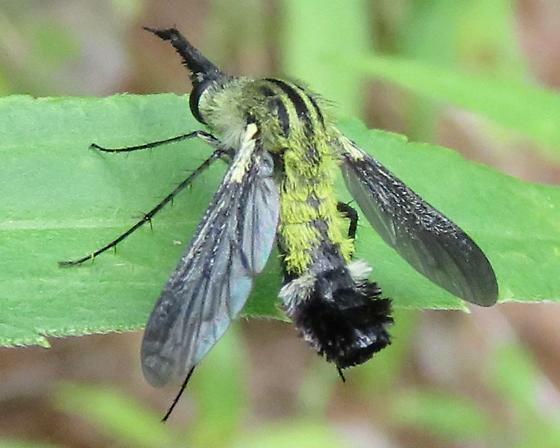 A fly that's a bee-mimic that's a moth mimic ...and as also pointed out, a mega-mosquito too! !